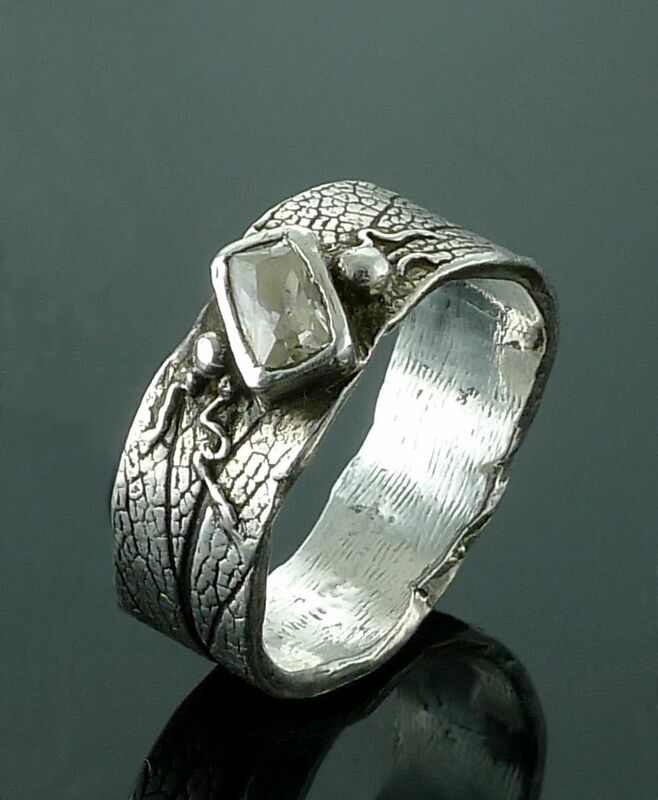 Free form sage leaf ring band with 5x3mm faceted gemstone set in .960 sterling silver. Medium wide band 7-9mm wide with a wavy, irregular edge and a shallow leaf texture. The stone is a 5x3mm CZ that is bezel set on the diagonal and embellished with silver balls and delicate silver tendrils. I can customize this ring by adjusting the width as well as what color CZ is used. Contact me if you have a specific color request. Dimensions: The CZ is shallow and only stands 2mm above the band.